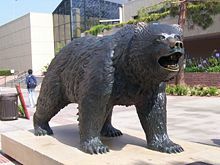 The Bruin statue, designed by Billy Fitzgerald, in Bruin Plaza. 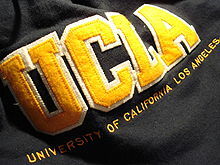 For a more comprehensive list, see List of University of California, Los Angeles people. ^ a b c Dundjerski, Marina (2011). 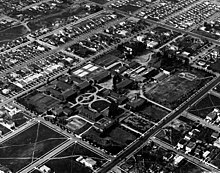 UCLA: The First Century. 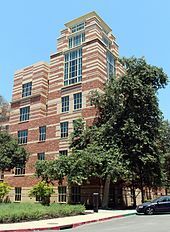 Los Angeles: Third Millennium Publishing. 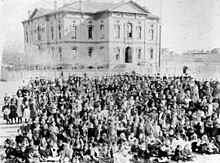 p. 46. ISBN 9781906507374. Retrieved February 3, 2019. ^ Das, Andrew; Tracy, Marc; Meyers, Naila-Jean (March 12, 2019). 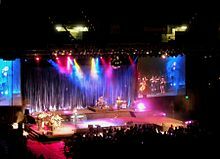 "The Coaches Connected to the College Admissions Fraud Case". The New York Times. ISSN 0362-4331. Retrieved March 20, 2019. 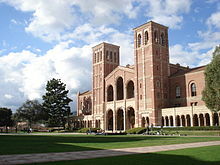 ^ "UCLA men's soccer coach Jorge Salcedo indicted in college bribery case, placed on leave". Daily News. March 12, 2019. Retrieved March 20, 2019. 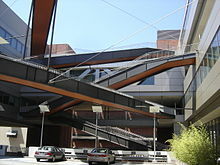 ^ "University of California--Los Angeles – U.S. News Best Global University Rankings". U.S. News & World Report. Retrieved November 3, 2018. ^ "We Run the City 5K/10K: History - Special Olympics Southern California". sosc.convio.net. Retrieved February 8, 2018. 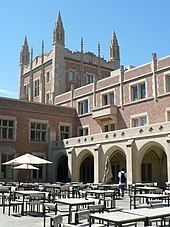 Wikimedia Commons has media related to University of California, Los Angeles.